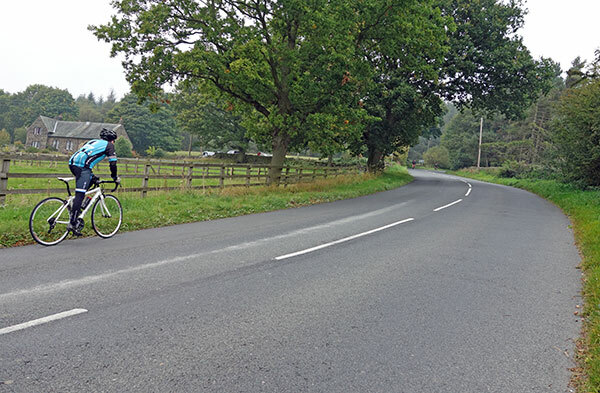 This weekend was the Otley CC hill climb, with perhaps a record field of 58 riders. It was the ninth time I’ve ridden the event (though 2 of them were in the last Millennium). Still I have a long way to go to catch up with Paul Brierley of Huddersfield R.C. 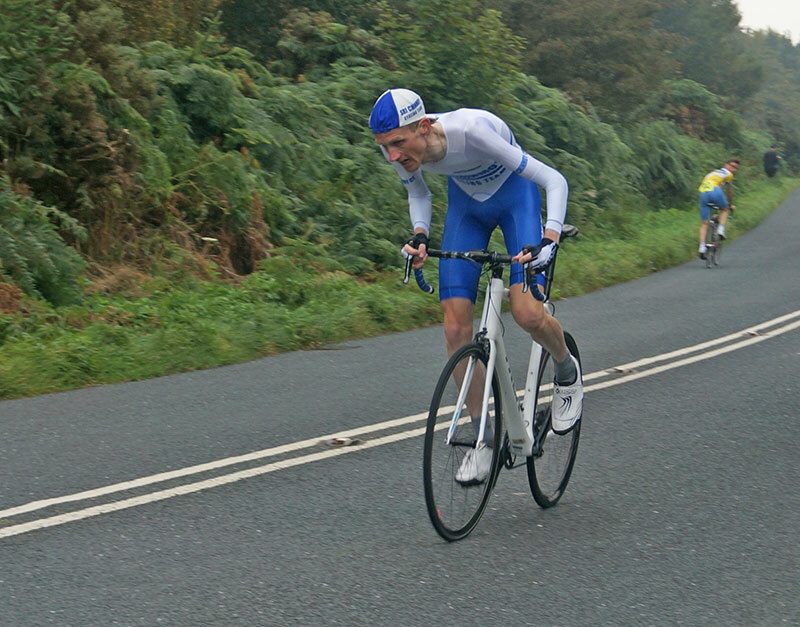 who was making it 28 starts for Otley CC hill climb). 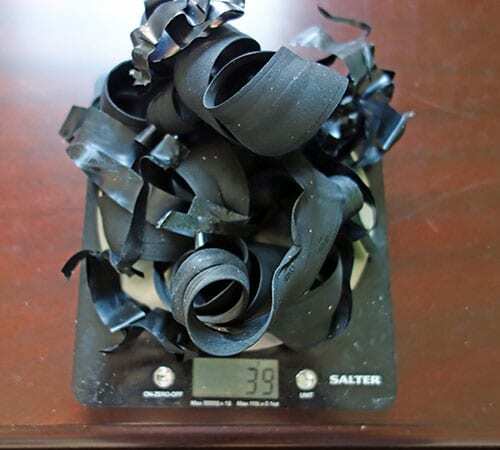 I was ridding my Trek Emonda, which is getting close to Nat HC weight. 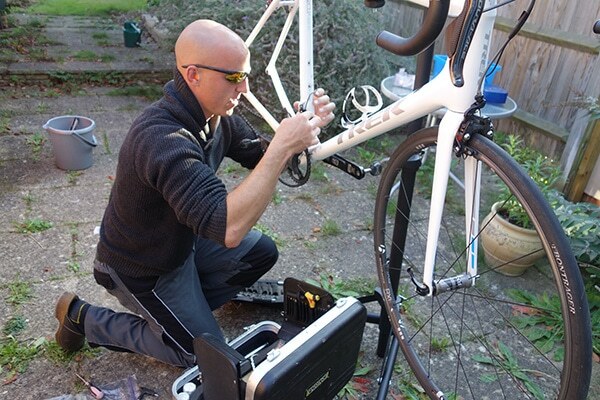 My top bike mechanic Andy Sherwood came round on Friday, to make it single chainring (39*) I nearly didn’t make it because I lost a single chainring bolt, but I was lucky because somehow Andy had a spare single chainring bolt lying around his van. That whole operation must have taken at least 250 grams off an already light bike. There’s probably a bit more to come off before National, but not very much. First up is Guise Edge, a short climb from Pateley Bridge. 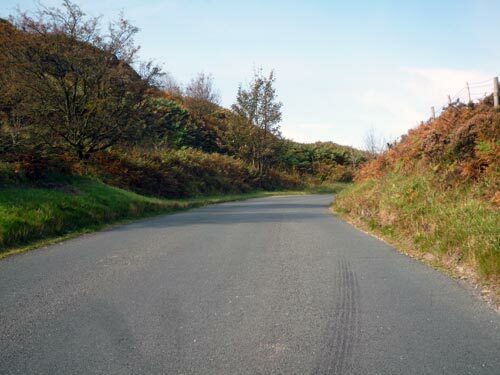 It is a tough climb, because the steepest part is just after the start. You have to work hard to get up there, but leave enough for the last few corners. Guise Edge from 2010. You could almost guess the year by measuring the extent of receding hairline. It was a perfectly still day. Not a drop of wind, and early in the morning quite a bit of mist on the hills. It was a touch on the cool side (9 degrees). 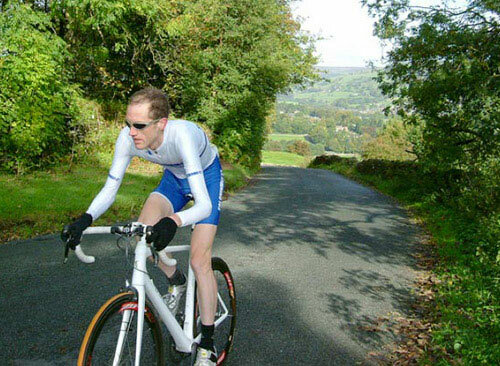 The first time I rode Guise Edge in 2009 there was a 40mph gale, which caused the course to be shortened. In 2011, we had a heatwave. That’s the thing about October, you can get all kinds of weather. Today it was pretty good. I rode a good race. Starting hard, but was just able to keep a good pace all the way to the finish line. I finished in a time of 3.18.8. Nearly 4 seconds quicker than my old course record. In many other years, it might have been good enough for a remarkable 5th consecutive course record on Guise Edge, but Dan Evans had just beat me to it; he did 3.18.00. 0.8 seconds is not much at all. After Guise Edge there was a three hour gap for the second stage. Traditionally I go better on the longer Norwood Edge. Though the strange thing is that in recent years, I’ve been going quicker every year on the short Guise Edge, but a bit slower on the longer Norwood Edge (see times at bottom) To be honest, I find this a little bit surprising as I would kind of expect it to be the other way around. Anyway, I’m not complaining. 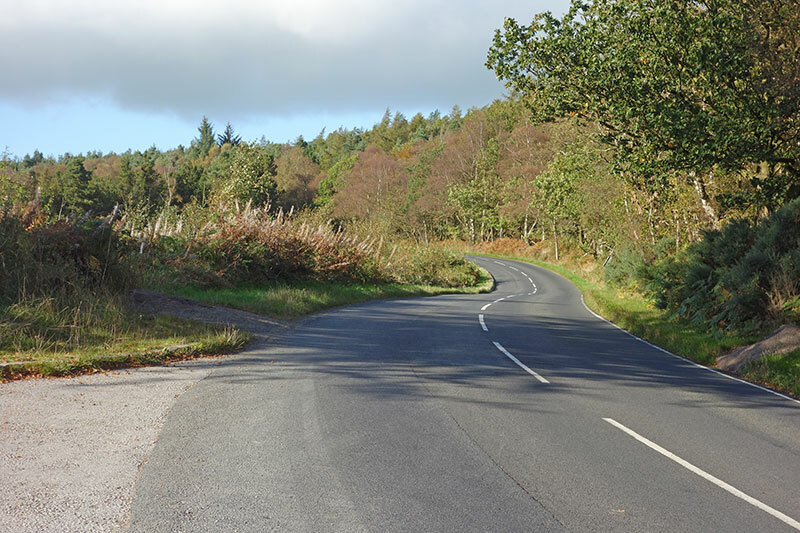 At my age, I’ll take any self-transcendence and improvement in times – be it short hills or long hills. Given the closeness of the first hill, I looked frantically around the bike for some free weight saving. I rode the second race without undervest (it was warming up) and I took off a bottle cage. Unfortunately, even with 20 grams less it wasn’t enough to make the difference. 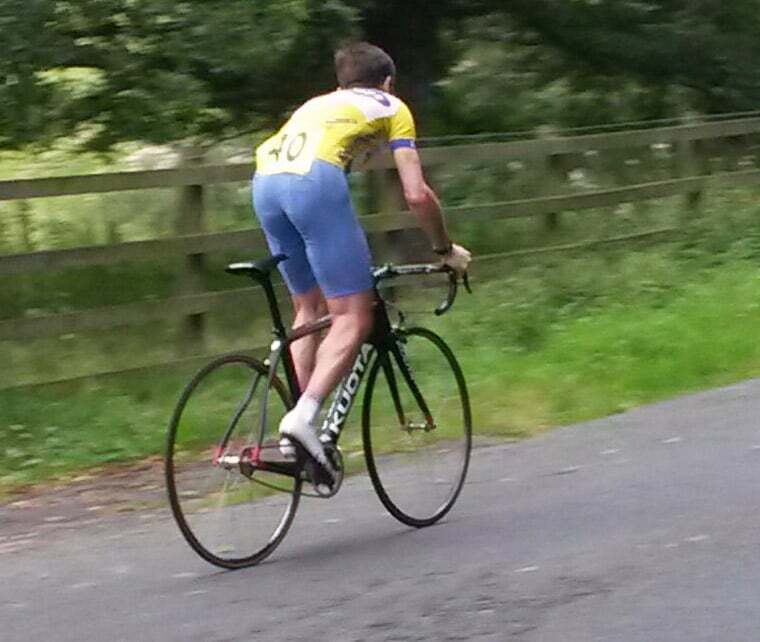 I did Norwood Edge in around 4.56, 4 secs behind current national champion Dan Evans. It meant second overall. 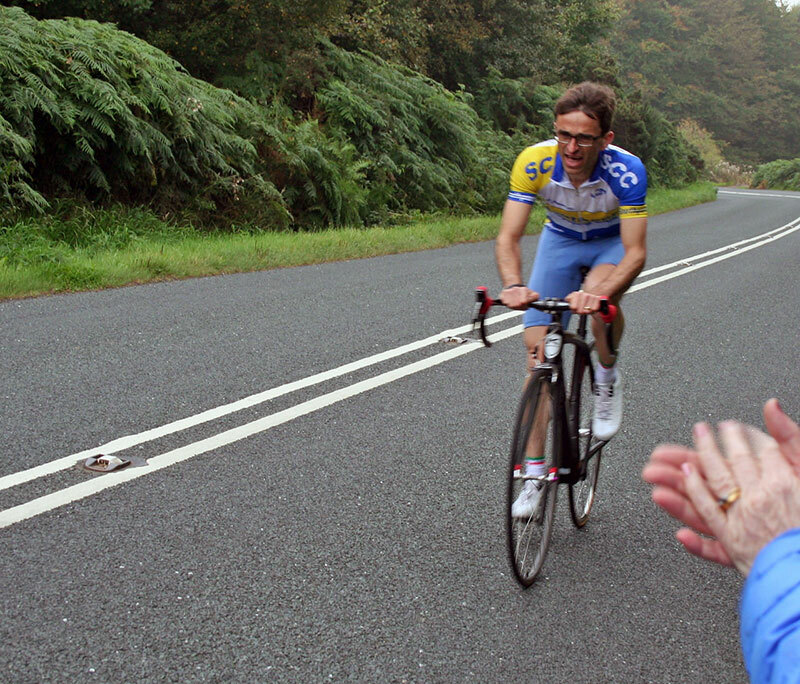 For the hill climb connoisseurs, Jim Henderson was riding a Kuota fixed gear bike, which got a few admiring glances from a younger generation of spectators who might think of ‘fixed’ bikes as something London hipsters ride around whilst delivering frappucionos or cycling to a themed cereal bar cafe. There was a day when no self-respecting hill climber would be without a fixed gear bike and much conversation about optimal gear ratios. But, these days they are much more of a rarity. I asked Jim about his return to hill climbs. He says he’s been cycling more this year than ever. Reading P.Jones’ Corinthian Endeavour was an important inspiration to get back into hill climbing; it reminded him of how much the sport meant to him. I asked him if he fancied his chances at winning the ‘vet’ category. With a smile, he said he would like a medal in overall. Overall it was a good day out. 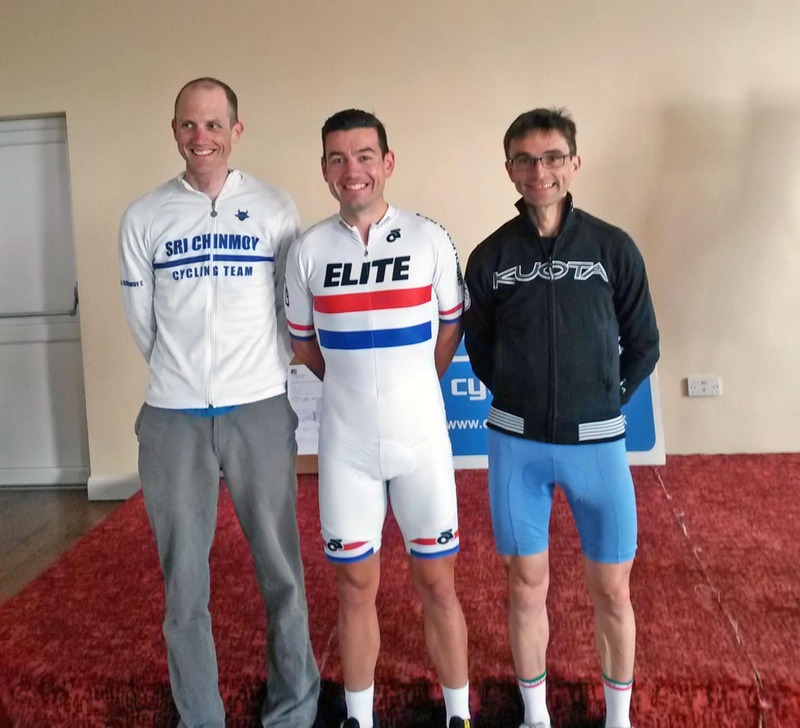 Thanks to Otley CC for organising another good event. From a personal perspective I was pleased with first stage, a bit less pleased with second stage. Jackson Bridge is probably mid way between the two climbs, but if anything slightly closer to Guise Edge in terms of steepness. Otley CC won the team competition! Other results, I will mention later, but I didn’t take a photo of results. But, I remember Nathan Allatt (Royal Navy + Marines) was first u16. Tom Cullen of the all conquering Otley CC team. 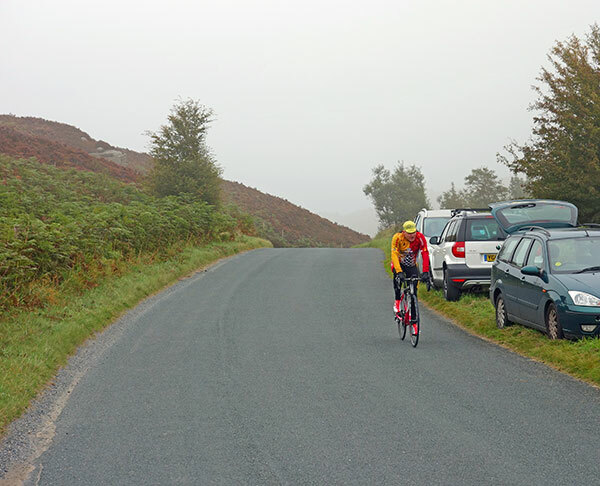 Somebody enjoying cycling up Norwood Edge – obviously not a competitor! The finish can never come soon enough. Winding up for final sprint. 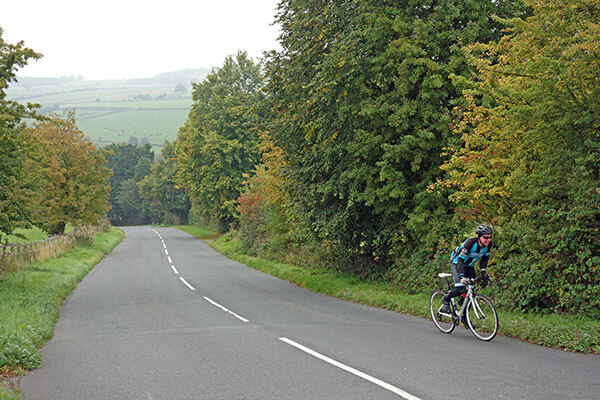 2008 – last year on East Chevin. 2011 – 4.46 (1st) – tailwind as I remember. cheers Tom, Good to see you part of Team Prize! Great report, good to see you are going well. 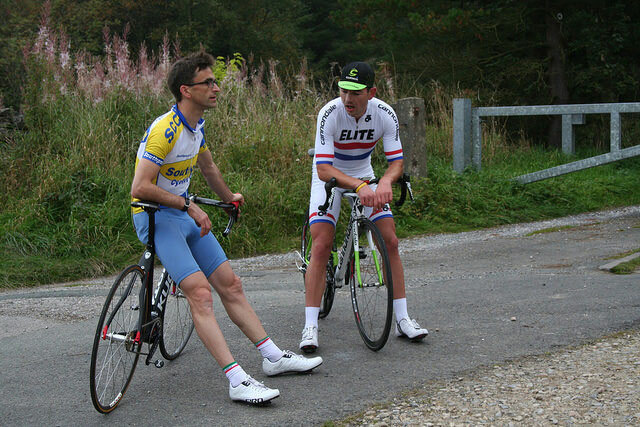 Great to see Jim back at the hill climbs. What a legend! I’m doing my first open hill climb of the season tomorrow at Shelsley Walsh, unlike Jim, I do have my eye on the vets prizes.. The overall is way out of my reach! cheers Tejvan! 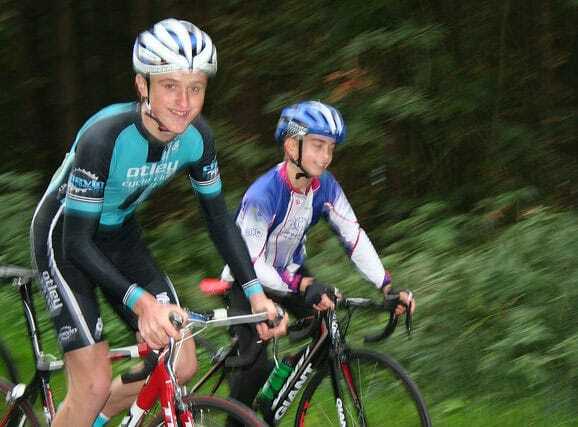 Very close between you and Dan best of luck for the rest of the hill climb season. Nice blog, Tevjan. Amused by the photo captions…”obviously not a competitor”. Mmm, that’ll be me. 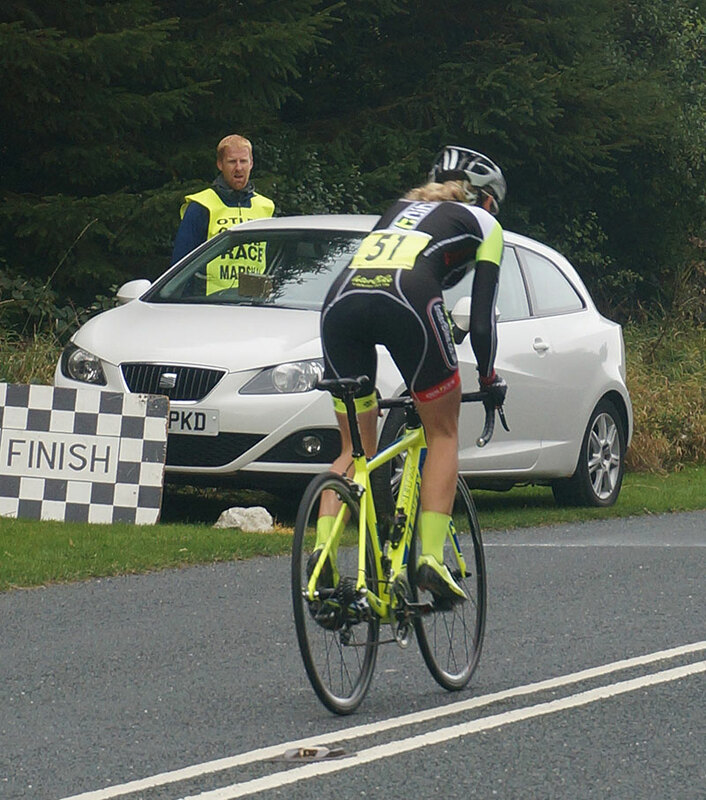 Collecting my kit from the bottom of the hill and riding back up again after clawing back a 5s deficit to sneak onto the podium by 2s…..he he! 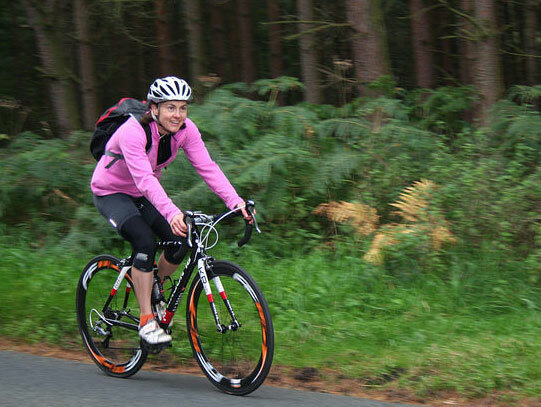 But I can see I don’t look like a competitor now I’ve read your blog about cutting weight off the bike – I was a bit blase although I did take my lights, saddle bag and bottle off after riding out to the event… 😉 All good fun. Congrats on your race. Well done on getting 3rd!